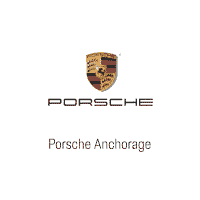 Porsche Anchorage in Anchorage, AK treats the needs of each individual customer with paramount concern. We know that you have high expectations, and as a Porsche dealer, we enjoy the challenge of meeting and exceeding those standards each and every time. Allow us to demonstrate our commitment to excellence! Our experienced sales staff is eager to share its knowledge and enthusiasm with you. We encourage you to browse our online inventory of new Porsche cars and pre-owned cars for sale, schedule a test drive, and investigate financing options. You can also request more information about a vehicle using our online form or by calling 855-981-5401. We also dedicated to delivering quality service and keeping your car on the road for years to come. Visit our service department with any of your maintenance or repair needs. You can also talk to the experts in our parts department to help you find any component to personalize your Porsche or take its performance to the next level. If you don’t see a particular vehicle, contact us! We will gladly inform you when a matching car arrives. We look forward to serving you! Just gave you a 5 star review on Yelp. Johnny is an outstanding employee. He role models your culture as if he were the owner. Outstanding Dealership. Not alot of parking for the customer but a beautiful place and the people are great. WOW!! If you want OVER THE TOP customer service, go to Kendall Porsche/Audi/VW. The pictures below are the General Manager, Tony, washing my new car because no one else was there to do it at the time and before pulling the trigger we wanted to make sure we loved this Panamera. Incredible!! The culture at Kendall Porsche/Audi/VW is definitely all about an extraordinary experience for each and every customer!!! I will be a Kendall Porsche customer for life! Thanks Tony, David, and Austin for your 5-star customer service! !